The Raspberry Pi Creative Technologists’ New Works Exhibition will be held on 23 April at the Raspberry Pi Headquarters in Cambridge and will give you a chance not only to check out the technologists’ creative visions of how a Raspberry Pi can be used, but also to meet them individually and get an insight into their experiences while taking part in the RPCT programme. Tickets are free, but spaces are limited, so register your interest below. If we don’t have enough tickets to go round, recipients will be picked at random. You will only be offered tickets for one slot, so choose wisely! 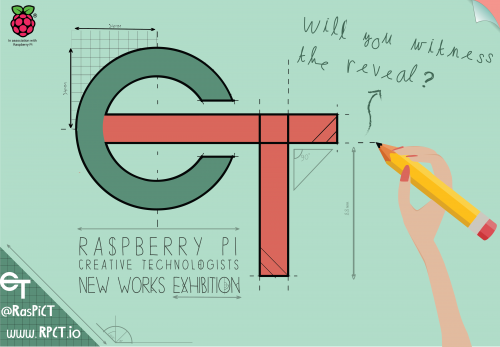 Be sure to follow our Creative Technologists on Twitter (@RasPiCT) and via their website (http://rpct.io/) to find out more information and project updates during the lead-up to the exhibition!